Come and learn to make these fun and easy hot pads! The price of the class includes heat resistant backing and batting for two 7" hot pads. You get to choose your own fabric for the top – it can be home décor fabric or coordinating cotton fabrics. 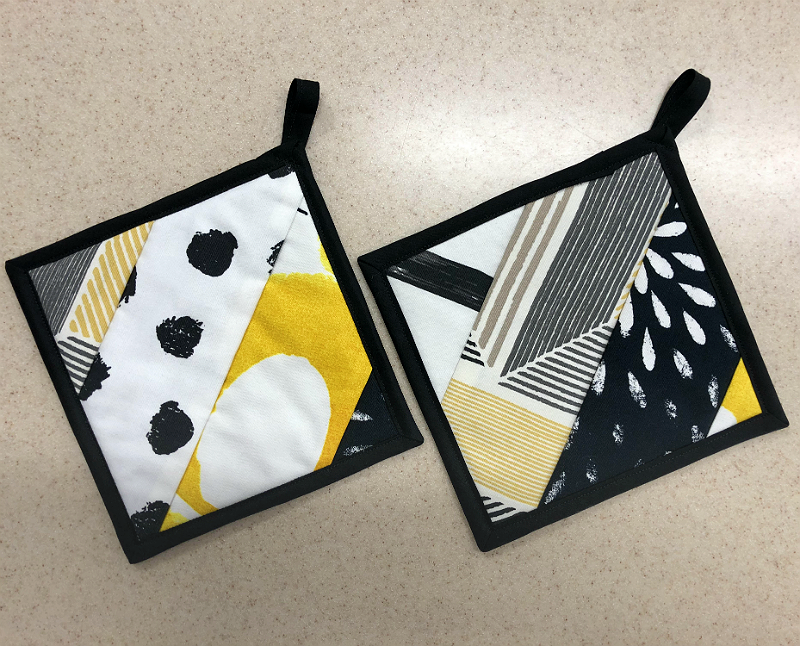 The class will include instruction on how to use the flip and stitch method and how to use bias tape. You can use these skills to make a plethora of beautiful coordinating kitchen accessories! This class is for people who are comfortable and confident using their machine to sew a straight stitch. Taught by Eva Clements.